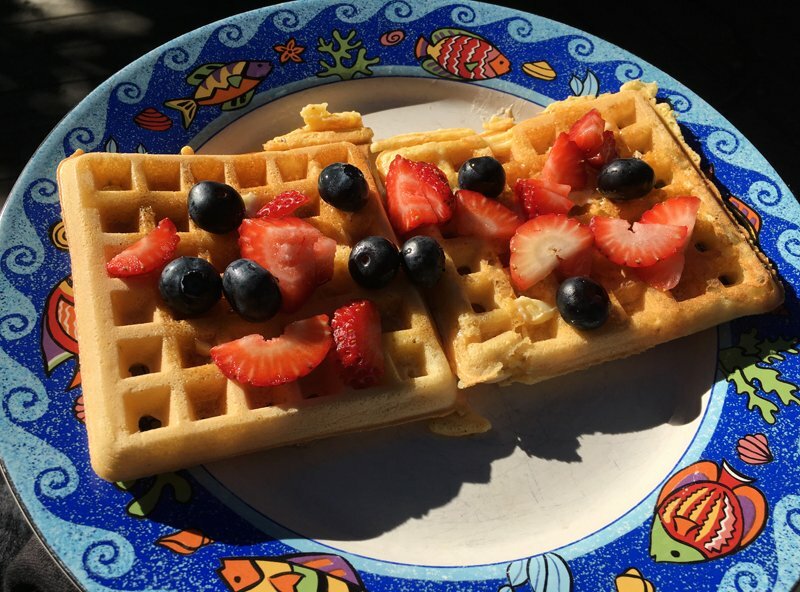 My dad's recipe for delicious homemade cornmeal waffles. Combine the dry and wet ingredients then fold the whipped egg whites into the batter. Cook on a waffle iron and server with butter and maple syrup. For extra delicious, top with blue berries, raspberries, and/or strawberries! You can substitute the milk with almond milk, however I recommend 1 cup almond milk and 1/2 cup water because almond milk tends to be thicker than cow milk.